IBM Design Thinking is our approach to applying user-centric design at speed and scale to the modern enterprise. It’s a framework to help teams not only form intent but deliver measurable outcomes that advance the bottom line and improve the lives of the people they serve. In a recent study, Forrester calculated the total economic impact of IBM Design Thinking and found that the approach slashed the initial time required for design and alignment by 75% and delivered ROI of 301%. 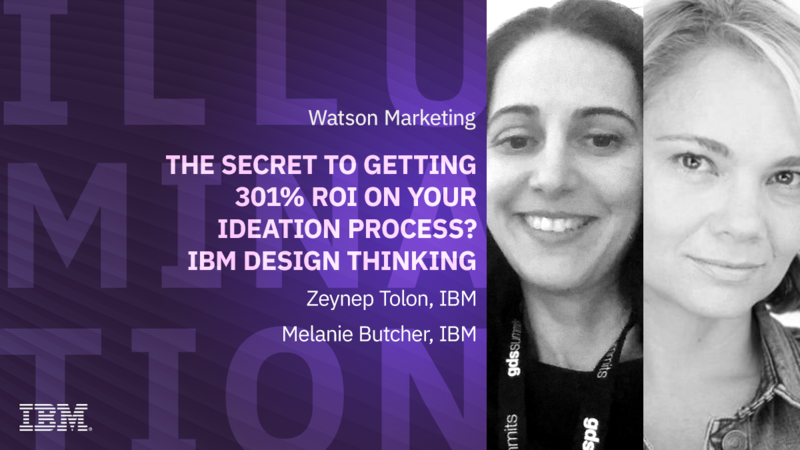 By attending this session, participants will understand the foundations and practices of design led ROI achieved through IBM Design Thinking. We'll cover how to motivate diverse teams, turn ideas into outcomes and restlessly reinvent so organizations can feel empowered to deliver new results and re-think some of their most complex problems.